It’s the beginning of September and I’ve been seeing Halloween decorations in the stores for the past few weeks. 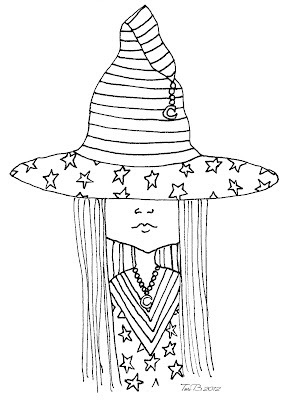 It seems early, but I guess it inspired me, because I found myself sketching a cute little witch. Carling is ideal for Halloween. 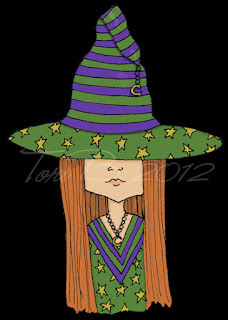 Use her on cards, party invitations or trick or treat bags. Carling would also be adorable on birthday cards any time of the year. So cute, that I have blog candy for you! Would you like a chance to win this colored version of Carling The Little Witch plus two more colored versions? That’s a total of three colored versions! Follow my blog and one lucky follower will receive all three colored versions which will only by available for purchase in my store. A new colored version will be revealed each week, for the next two weeks. The contest closes on Sunday September 23rd at noon/12:00pm. The winner will be revealed when I post my Crudoodle Free Digital Stamp that night. All you have to do is follow my blog for your chance to win. 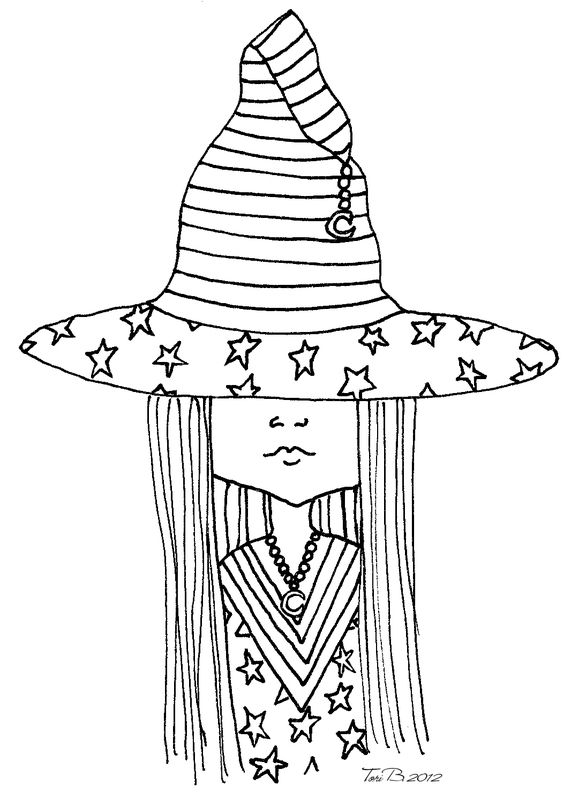 Have fun with this week’s Free Crudoodle Digital Stamp, Carling The Little Witch. Remember, follow my blog for your chance to win all three colored versions of Carling. To save Carling The Little Witch to your computer, click on the preview above to open the full size images. Right click on the picture, and save to your computer. Posted in freebie and tagged blog candy, card making, contest, Crudoodle, Crudoodles, digi stamp, digital stamps, doodle, free, giveaway, line art, paper crafts, scrapbooking. Thank you so much for this post. 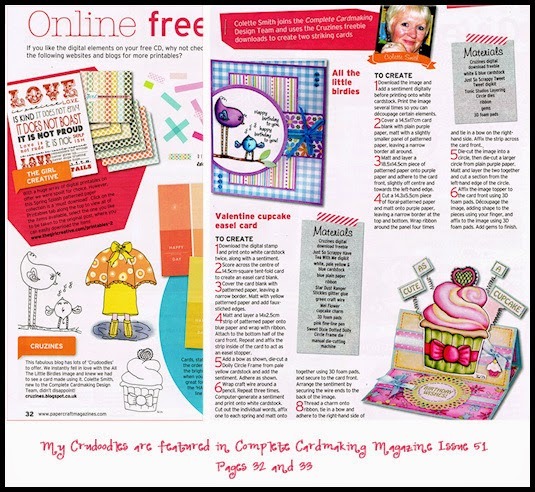 I want to let you know that I posted a link to your blog in CBH Digital Scrapbooking Freebies (please, notice the new url for my blog), under the Page 1 post on Sep. 03, 2012. Thanks again. I'm totally obsessed with Halloween, so Carling will definately show up in another home by then. Thanks so much for sharing her with us. Can't wait to see the other images for the blog candy. Thanks for sharing this cutie!! !